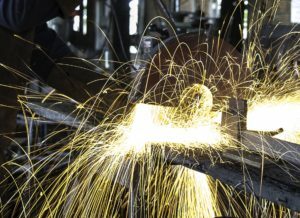 Welding rods are used in the welding process to add filler metal to the area being welded. It can also be used as an electrode in some arc welding methods. Read on to find out more about the different types of welding rods and their function in the welding process. Welding rods are usually made of the same materials base metals are made of. They are held together by an electrode holder that is used to insulate the welder from the electrical current that is present during the welding process. In many arc welding processes, the welding rod can also act as an electrode, guiding the arc to the weld area. Welding rods that can also be used as an electrode are labeled with an E prefix. If the arc welding you are performing does not require the use of a shielding gas, it is a good idea to use a welding rod with a flux coating. 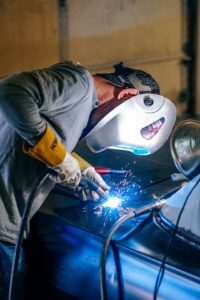 This coating will serve to vaporize when exposed to high heat and create a gas that acts like a shield keeping the air and other contaminants away from the weld area that can help the person doing the welding to create a clean weld. Steel Welding Rods: These are the most common types used today since most welded materials are made of steel. They come in a variety of steel alloys, such as mild steel, low alloy steel and stainless steel, that can be used in different applications. They are available with or without flux coatings. Aluminum Welding Rods: These are used to weld pieces of aluminum together, including aluminum alloys that are dissimilar in nature. They can be used with standard arc and MIG welding equipment, and in TIG welding techniques. Bronze Welding Rods: These types of welding rods are used when brazing need to be done to join copper to other metals. It can also repair bronze pieces that have been damaged. The brazing uses bronze welding rods due to their high resistance to salt water corrosion. Composite Welding Rods: These consist of two or more layers of material that, when combined, result in a higher quality weld. Flux core welding rods used in these applications have the flux placed in the center of the welding rod as opposed to the outer layer of the rod. This allows the flux to be used in a manner that wasn’t possible previously and it also prevents the flux from wearing off due to handling or storage. It is important to be familiar with the different types of welding rods so you know which one you need to successfully perform the task at hand. If you are not sure which type of rod to purchase, it is best to consult a colleague or other professional, or consult a manual to obtain this information. 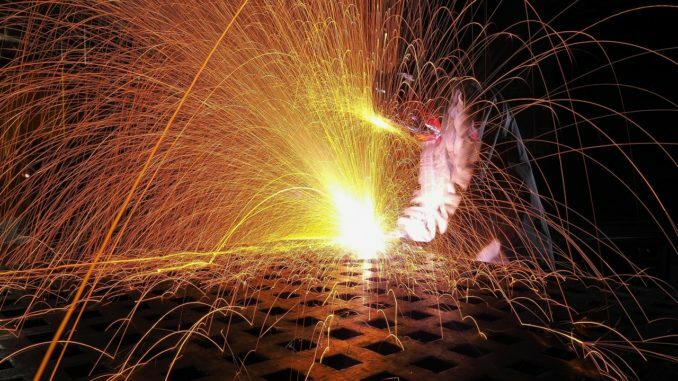 Welding is an important part of the manufacturing process. Good luck with your efforts!